Add ambience to your living spaces, illuminate your home or Church and let your faith shine through with Istok Church Supplies’ stunning collection of table candle stands. From whimsical models in the shape of animals to sacred designs that draw inspiration from the Orthodox Christian faith and traditions, we have a huge catalogue of products to choose from. Over the years, we’ve helped many churches and devoted individuals find the right candle stands for their homes and churches. Our antique candle stands for tables are a perfect way to add a vintage touch to your home’s décor. Whether you decide to place them on a table or mantelpiece, they are sure to be stunning centerpieces and the cynosure of all eyes. You’ll love the ornate carving details made by master craftsmen well versed in their skills. The metal table candle stands we feature have solid construction that prevent them from tipping over easily. You’ll find models cast from a wide variety of metals including high quality copper and brass. These candle stands are polished to perfection for the perfect luster and sheen. Whether you are looking for a candle stand that can hold a single candle or a candle stand that can support multiple candles, you will find a perfect fit for your requirements. 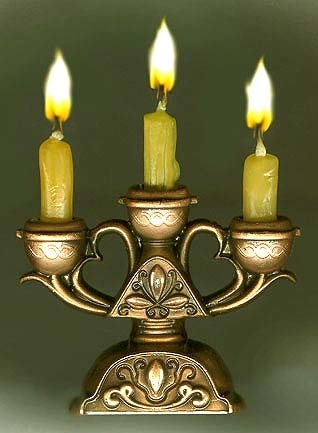 Many of our candle stands for Orthodox Churches have motifs and designs drawn from the faith. 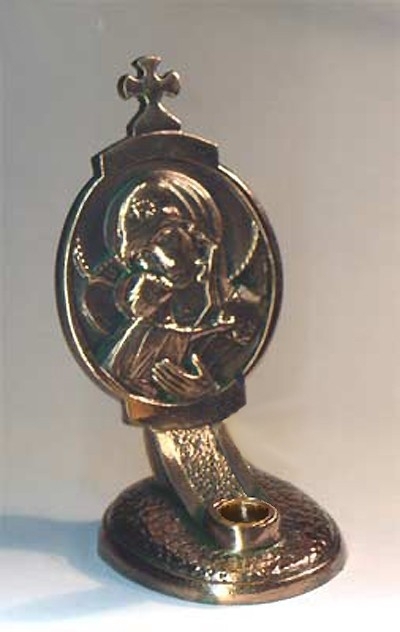 Choose from inspirational models such as the Theotokos, Archangel Michael, Christmas, the Cross, St. Nicholas the Wonderworker and many others to increase the prestige of your Church. Table candle stands shaped like a goblet, angel, sheep, spiral are other worthy considerations. No matter which model you select, you can be assured of the best quality product and lowest prices on the internet.